Even though I have lived in three different continents, the place that has felt most alien so far has been in my own country and is the one I live in currently—Bangalore. 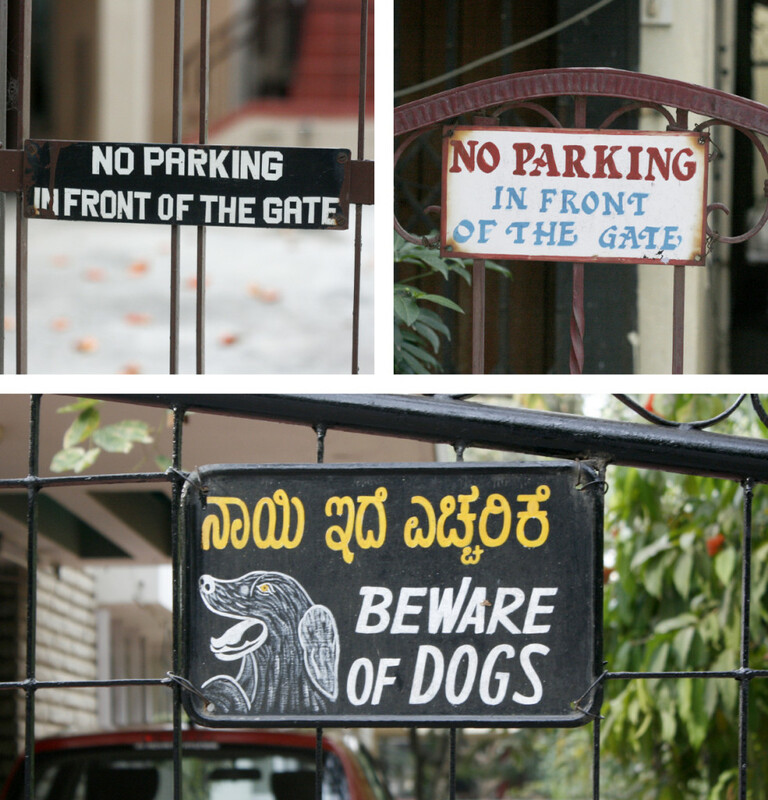 Before I moved to Bangalore, I had never acknowledged the comfort of being in a city where the all the street signs are in a familiar script, even if I could only half-understand them, or not understand them at all. 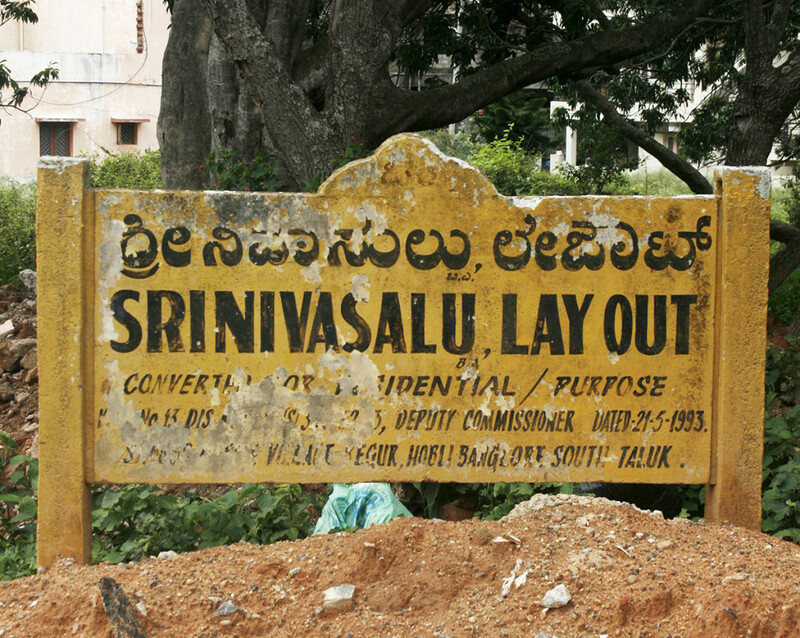 Five years ago when I first moved here, I began picking up, what are still rudimentary, skills in reading Kannada from the brick-and-mortar yellow signs, like the one below, that announce names of streets and neighbourhoods across the city. 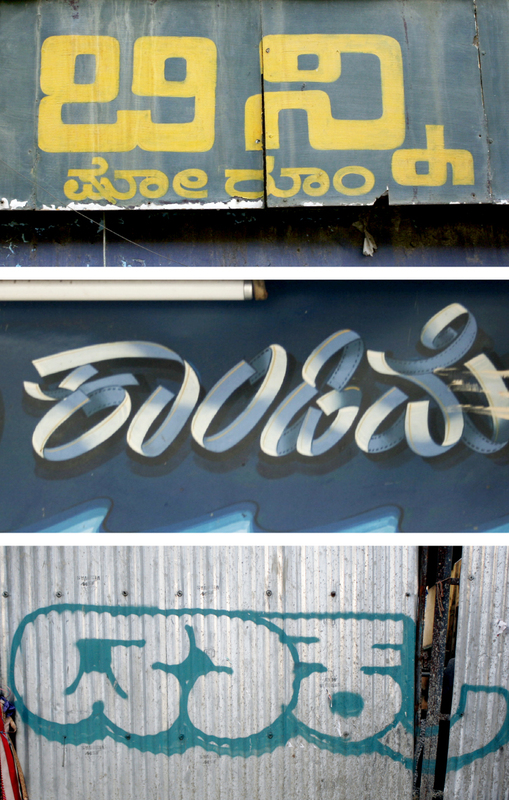 And before I knew it, I was sucked into spotting different styles of Kannada lettering that pepper the city. Many old establishments in the city sill sport gorgeous signs. 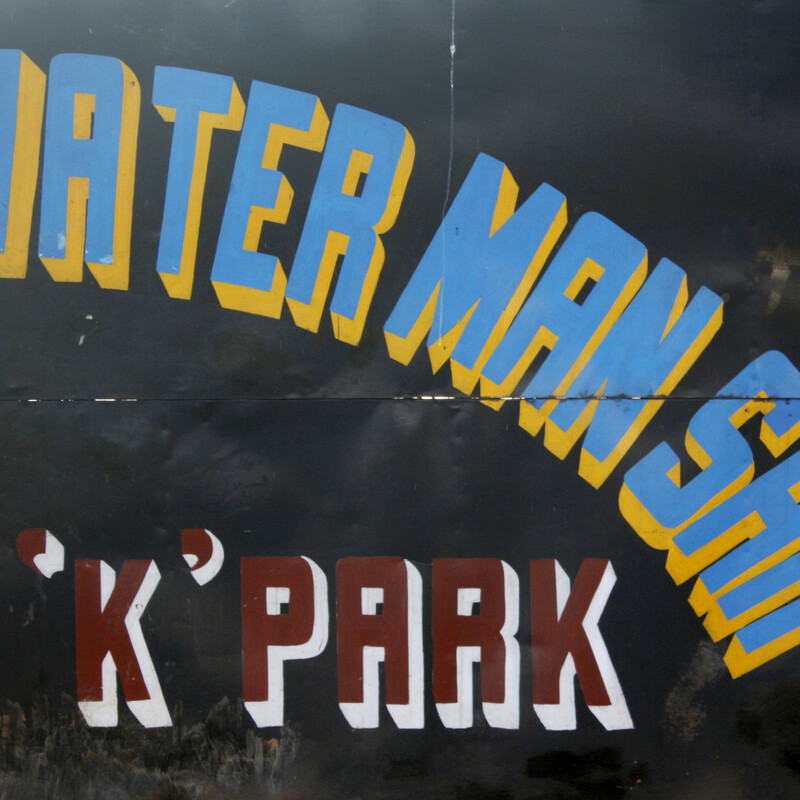 The Madras Engineers Group, an engineering regiment of the Indian Army formerly known as the Madras Sappers, have called Bangalore home since 1834 and have this sign painted on its Bridging and Water Manship TRG Area. Equally striking is the sign for G. G. Welling, a photography studio that has lived on one end of Bangalore’s M. G. Road since 1903 (it was called S. Mahadeo and Sons when it opened, named after G. G.’s grandfather). The photo studios in this city seem to have a particular flair when it comes to their signs. Stella Studio has what is probably one of my most favourite signs in the city. The fading grey lettering peeking under the current board is the original shop sign that has been diligently preserved by the owners for over half a century. Once you venture into the mains and crosses that criss-cross Bangalore, there are more gems to discover. Home owners make or commission their own signs to urge car drivers not to park in front of their gates, and warn burglars of their ferocious dogs. 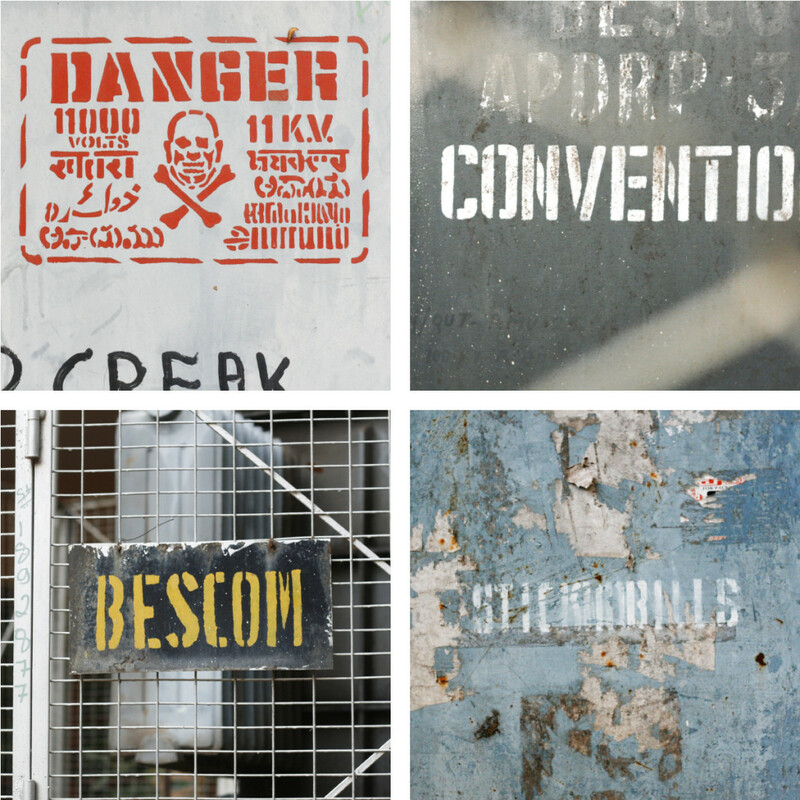 Along side them are warning and labels by the Bangalore Electric Supply Company (BESCOM), almost always in stencil lettering. 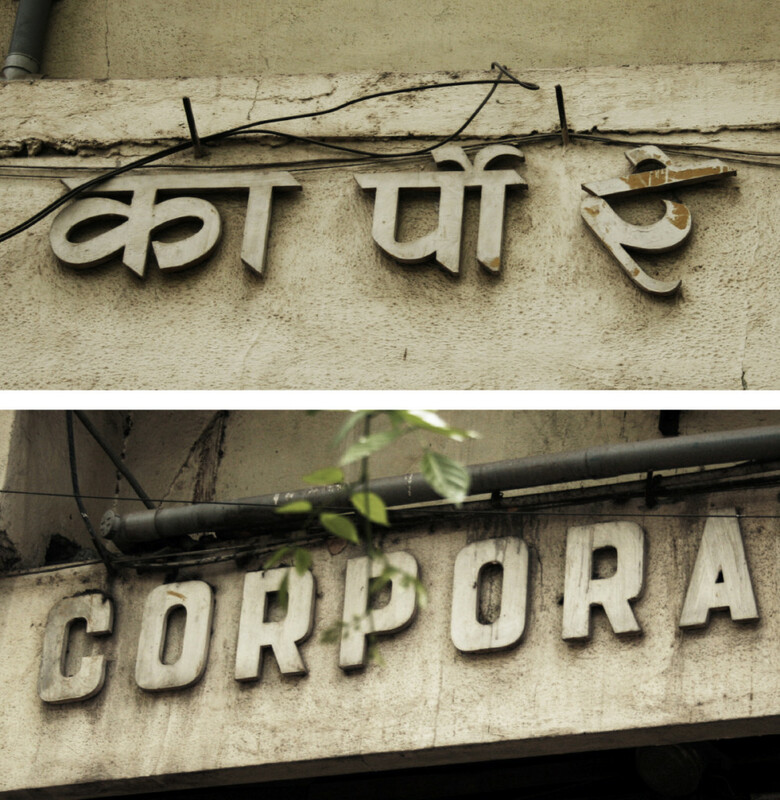 And as though all this wasn’t enough, the city is a treat for a lover of multilingual lettering. You can spot signs in Latin, Kannada, Devanagari, Tamil, the odd Telugu and Malayalam, even Bengali! Do you love letters as much as we do? Post your favourites on Instagram or tweet at us @alphabettes_org with the hashtag #letterlove.